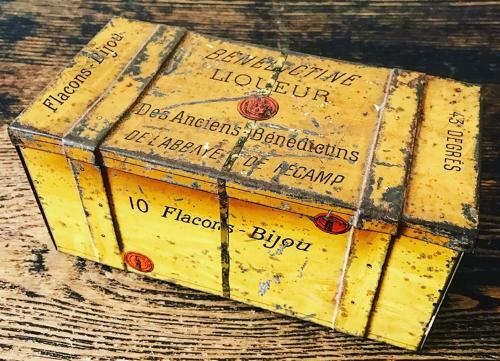 French Benedictine Liqueur tin. A nice decorative painted tin dating to the early 20th century. Circa 1930.